Social Security remains a hot-button topic for many people. One of the main reasons is that each and every day more and more Baby Boomers are taking down their shingles and heading into retirement. I’m probably not the first financial expert to tell you that Social Security is complex. There are so many different scenarios where you can or should claim your benefits, that if you don’t have an advisor, you risk filing too soon (or too late) and potentially costing yourself serious money over time. The retirement age for many is 66, but is being pushed on to age 67 for some younger workers. You can technically begin taking Social Security at age 62 (if you aren’t working), or you can delay all the way until age 70 if you are still working, or if you can afford to forgo that monthly income. Obviously, the longer you wait to claim Social Security, the higher your monthly check is going to be. I wish there was a calculator to tell you exactly when you should file. But the reality is that there are just so many variables that make each and every situation unique, which means, in the final analysis, there are no “one size fits all” approaches. We have a rule of thumb here at Hanson McClain, but this is just a rule of thumb, and should not be construed as financial advice. If you get to retirement and you don’t have as much savings as you’ll need to see you through say 10, 15 or even 30 years, you should probably wait to file. That’s because the longer you wait, the larger your check is going to be. However, if you are approaching retirement and your savings would appear to be ample for the next 30 years, then we usually recommend you file for Social Security right away. Here’s why: When it comes to the future of Social Security, practically nothing is off the table. “Means testing” (where, in spite of how much you’ve paid in, the government decides if, based on your net worth and income, you should receive Social Security), higher Social Security taxes, and the potential for an across-the-board delay in benefits, are all possibilities. 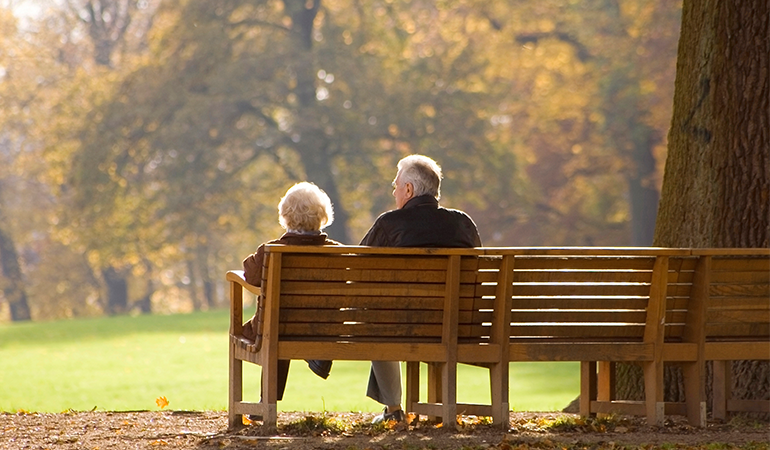 Because of the uncertainty, we usually advise most wealthy retirees to take Social Security immediately. Again, this is a general guideline and not a rule. Each person, and each couple’s situation, is unique and there are far too many variables to be concisely listed here. My recommendation is to speak with a qualified, credentialed investment professional, someone who is an expert on Social Security, and whose advice and recommendations have your best interests at heart.